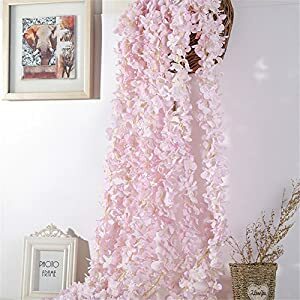 ✔️ FESTIVE DÉCOR FOR EVENTS AND PARTIES, ALSO GET-WELL GIFTING: Utilize these pretty flower bunch as a decor for the party area. Since they are fake flower arrangements, they will never wilt. 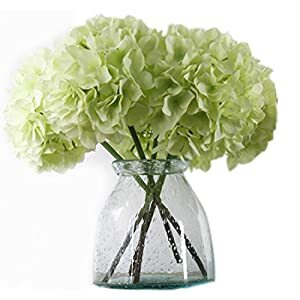 Drop a couple of stems in a vase to give to a friend or relative recuperating in the hospital. 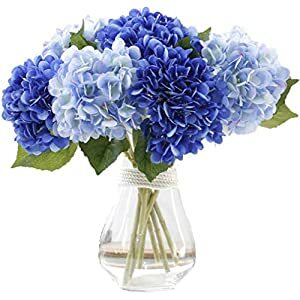 ✔️ GENTLE BLUE HYDRANGEAS ADD A PEACEFUL FEELING TO HOME AND OFFICE: Place a couple of stems in a vase and use them as a centerpiece on the dining room table or the conference table at the office. Silk floral arrangements are great additions when staging a home for sale. 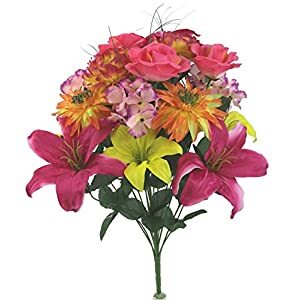 ✔️ DIMENSIONS AND INSTRUCTIONS: The cluster of blossoms measure 7″ in diameter, with 19″ stems. 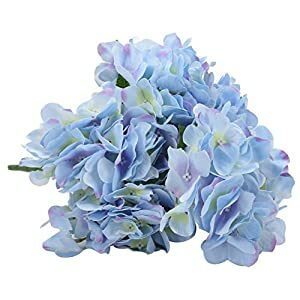 A day or two before your event or photo shoot, you’ll probably need to “fluff-up” your Hydrangeas, as they do get a bit crumpled during storage and shipping. 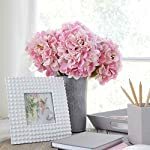 These gorgeous pink, silk Hydrangeas fake flowers seem to be just about as natural as those picked fresh from the flower garden, adding a lasting attractiveness for your special event. 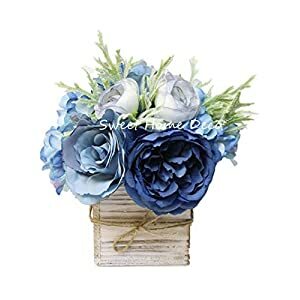 Use them for the bridal bouquet, now not just for the bride, but for members of her court to hold. 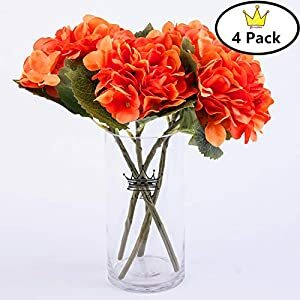 They are able to be a stupendous decoration when gracing the gift table on the wedding and for centerpieces on the reception. 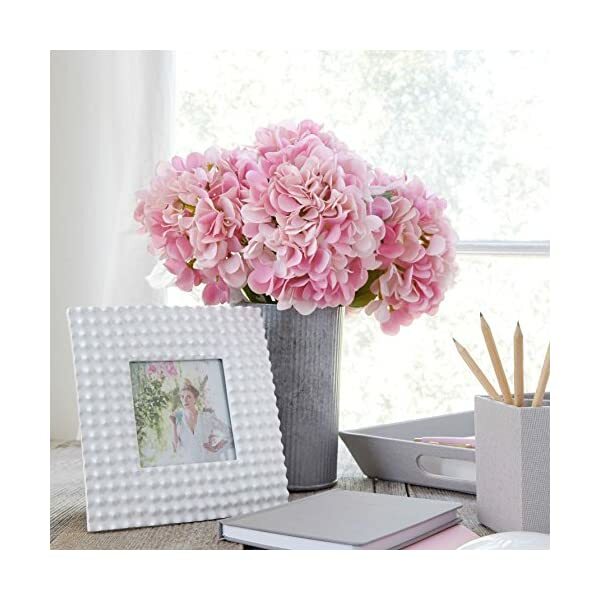 Give your wedding décor a lift as their gentle, calming clusters get dressed up a home dining table or display them to your place of job or conference room. 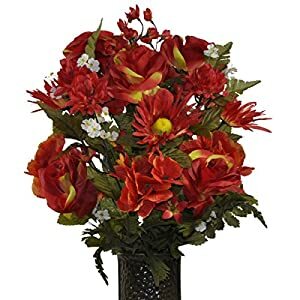 Keep a few available to create an arrangement for a in poor health family member. Since they are artificial there is not any long-term care required and they are going to never wilt. At the same time as some competitors cram as much as five fake flowers on one stem, we remain true to nature, leaving one cluster per stem. 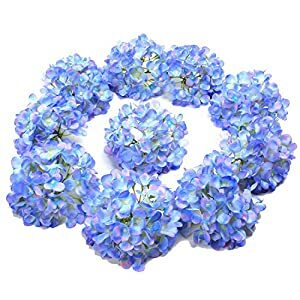 Occasionally, all the way through storage and shipping our Hydrangeas get slightly crumpled. 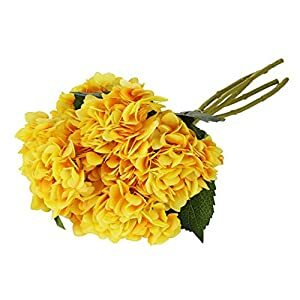 We do recommend you fluff-up every flower and provides yourself a variety of time, starting an afternoon or two before your event or photo shoot.